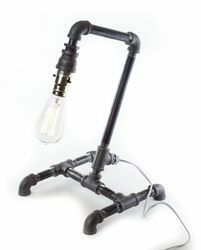 Due to our experts and rich industrial knowledge, we are very successful bin presenting Pipe Art Basic lamps. High quality compact design tested. This antique style desk lamp recollects the antique reproduction works from victorian lighting collection. We are the world-class pipe art lamps with very reputed manufacturer and camera exporter For our valued customers of the market. In order to meet the customer's high level requirement, we purchase the best quality range of goods for these products. Our manufacturing and designing units made their best efforts to produce unique products for the beautification of the house. Our company produces a beautiful series of pipe art lamps with mobile holders with each art, which includes art combination work, artistic design and beauty. For the diverse needs of our valued customers, we are manufacturing and supplying the quality approved range of Pipe Art Lamp Cyclist. Widely preferred for their main features, they are widely demanded among our customers spread across the country. Apart from this, to prepare these products, we use the latest technologies and optimal quality marble. Spare - lamps for exposures. Camera. Scanners. Light box. Image seams, etc. 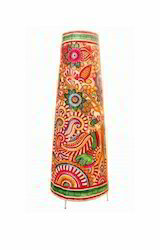 The company manufactures& Wholesaler a wide range of products which are made by skilled Indian Craftsmen. The range of handcrafted products can also be customized - as per the design & colour requirement of the customer. Our company is engaged in supplying of Lamps. Lamps and bulbs are used in Domestic Houses, Factories and Public Places and manufactured using multiple material such as glass, insulated or fiber case. We offer emergency lamps with a rechargeable battery to provide backup power during power cut.